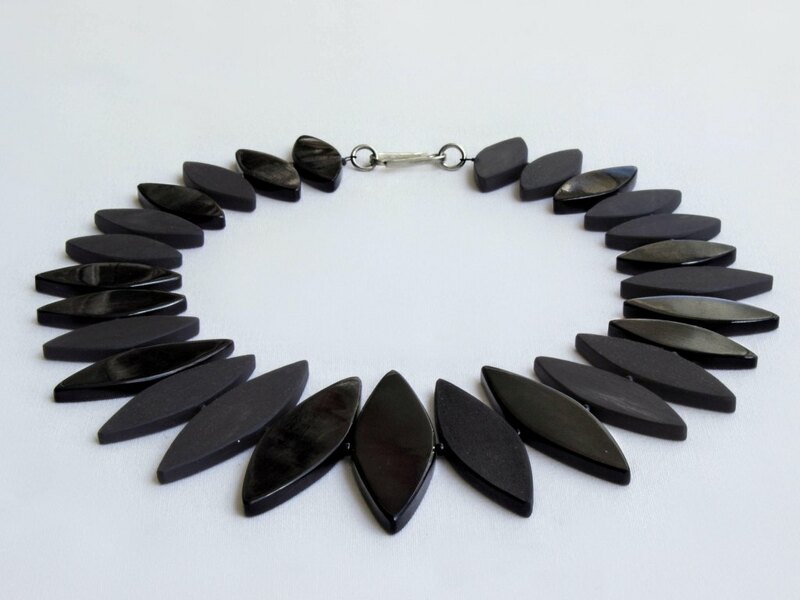 This collection is about perfection, style and harmony. 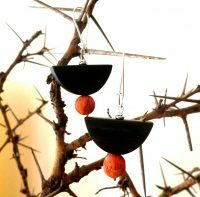 The fine -tuned sizes and shapes of the black horn pieces, the subtle arrangement of polished and mat, even the silver hooks of the earrings reflecting the lancet shapes of the collier: precision in detail suggesting seemingly effortless power. 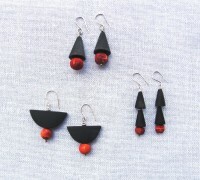 The second part of the collection appears more playful but modest, highlighted only by mat red sponge coral beads. 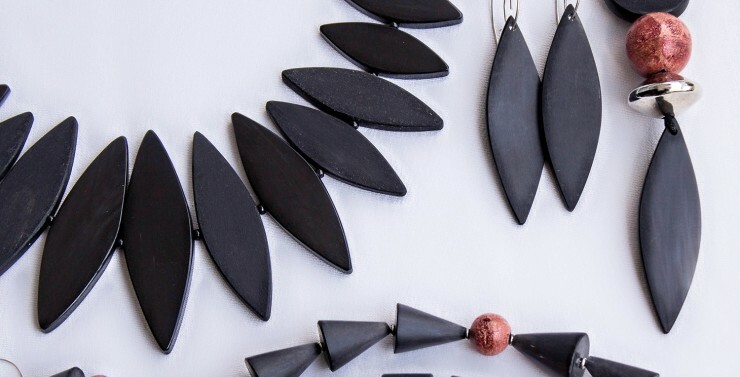 Here, Marie-Roses shows the great possibilities gained through the support by her manufacture company MARO designs, enabling her to design from raw material to final creation! 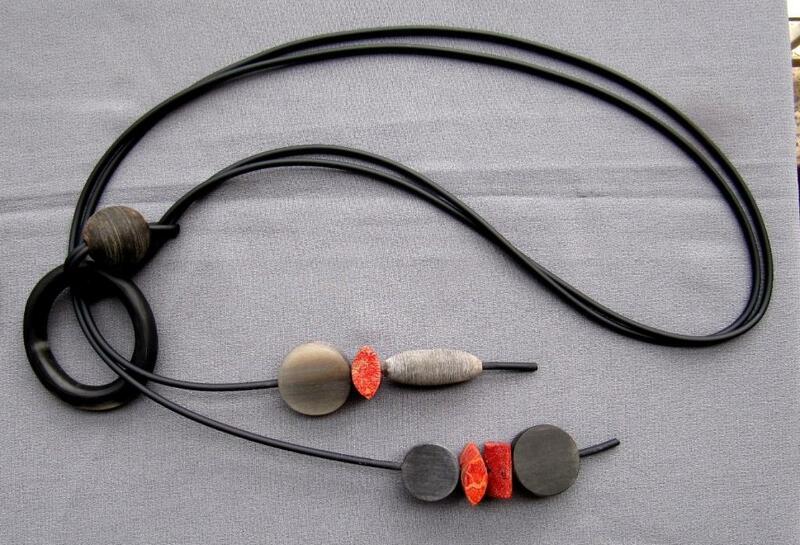 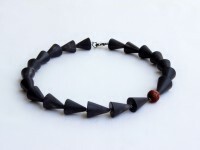 Horn Necklace-H 804 Red, Cow horn black matt, sponge coral. 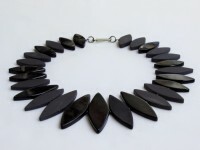 Horn Necklace-H 60, Cow horn black matt/ polished.